Fitness by Chris Finley: What's the Key to Losing Weight? What's the Key to Losing Weight? Imagine if you will, there is a round table of weight lose "experts" and "gurus." They each are representatives of "the latest science" and they claim they have found "the true key to weight loss." There's the low carb guy, the paleo guru, the low fat dietitian who is stuck in the 80's, the personal trainer who thinks you just need to run 10 miles a day, the surgeon who keeps saying "bariatric surgery is the answer," and so on. Who's right? Who should you trust with your LIFE!? Let's clear this up! 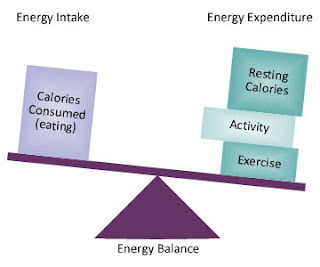 The KEY to shedding excess weight and fat is energy balance! It doesn't matter whether your only carbs are coming from broccoli or all you eat is "fat free protein cookies" and water. If you eat more energy than you use you WILL gain weight! 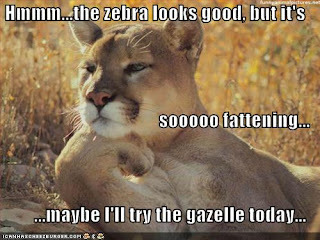 You don't see many obese people in the plains of Africa because they are active and don't eat too much. Calories are simply a measure of energy. The actual name is kilocalorie (kcal). Now body fat is simply stored energy. How do we lose fat? Simple. Make your body use its stored energy. How do we do that? Again simple. Eat less calories and move more so your energy requirement rises above how many calories you get from food. This does not necessarily mean less FOOD but less CALORIES. Hamburger Helper is very energy dense. It has a lot of calories in relation to the amount of food you get. Crisp, refreshing veggies have very little energy for the amount of food you get. You can eat a lot of veggies and stay in the correct energy balance... granted you don't drown the veggies in dressing. Say Joe's basal metabolic rate (BMR) is 2,000 kcal. His body uses 2,000 kcal of energy to function. This includes digestion, cell regeneration/maintenance, etcetera. This does not include movement. 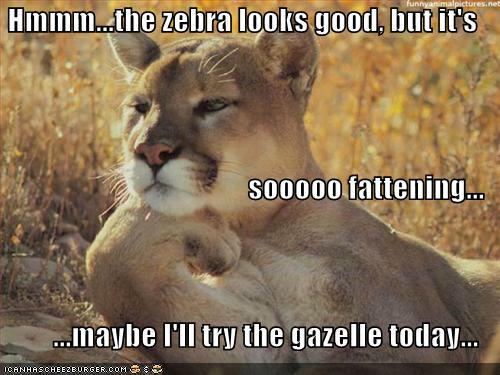 If he sits around all day and eats 2,500 kcal worth of Hamburger Helper. That gives him a 500 kcal surplus times 7 days per week equals 3,500 kcal per week which is equivalent to a GAIN of 1 pound per week. That 1 pound is a mix of fat and other tissue. The majority is probably fat but weight gain and loss is almost never 1 tissue or the other. It's a mix. Now let's say Joe's BMR is 2,000 kcal and his activity adds up to 500 kcal per day. That's 3,500 kcal deficit per week which is about 1 pound of weight loss. Let's say Joe sits around all day but only eats 1,500k cal per day. This is the same 3,500 kcal deficit per week. While do NO EXERCISE Joe still loses 1 pound per week. Here's the best scenario. Joe does 250 kcal worth of activity and eats 250 kcal less energy. That's a 500 kcal deficit per day; 3,500 kcal deficit per week. That's a very manageable 1 pound loss per week! Atkins. South Beach. Every diet is a strategy to get energy balance under control. They may say it's all about insulin. Insulin does play a role but it's not the end all be all. Macronutrient ratio, grams of carbs per day, healthy fat, protein, none of it matters unless you have your energy balance in order. Period. Not to say none of that is important or that it won't effect your progress but unless you've found a way to cheat physics, the calorie is king when it comes to weight management!